Curious to see how a cover letter in your industry should look? We provide dozens of cover letter examples from all industries. Find your industry below and download your favorite samples. Use quantifiable achievements to demonstrate your mathematical prowess and strengthen your accounting or finance cover letter. Use the examples below as a guide. Since you provide support, you’ll need to convey how reliable, efficient, and organized you are in your cover letter. Take a look at our samples below. Your cover letter needs to show the hiring manager that you mean business. Use the samples below as a guide. Not sure if you’ve got the right tools to build your cover letter? Use the samples below to help you craft a strong cover letter that can’t be knocked down. Not sure how to discuss your artistic experience in a professional manner? Our samples will help you turn your cover letter into a masterpiece. Impress the hiring manager with a cover letter that clearly conveys your ability to interact and work with people well. Take a look at our samples below. So the teacher becomes the student again! Learn how to write an outstanding education cover letter. While writing a cover letter may not be a real emergency, it might feel like one. Let us help you with our professional examples. Spend more time tinkering with gadgets, and less time tinkering with your cover letter. Take a look at our examples below. Serve up a cover letter that will make hiring managers drool. Learn from our samples below. Is your cover letter on life support? Learn how to make it lively with our samples below. Although technical skills should be the focal point of an IT cover letter, it’s also important to reference your soft skills. Use our samples to learn how to represent both in your letter. Wielded effectively, and your cover letter can be just the thing to get your foot in the door at a major law firm or land you various types of legal work. Check out our samples for ideas. As a student, your cover letter should focus on relevant coursework, internship experience, and the skills you’ve gained in part-time roles. Check out our samples to help you get started. Having trouble getting started? 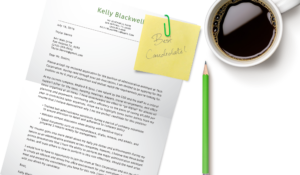 Just think of your cover letter as your own personal sales and marketing campaign! Use the samples below for inspiration. If you can survive a day of watching children, there’s no doubt that you can write an impressive cover letter. Use our samples and you’ll get that interview you’ve been waiting for. A beautiful cover letter goes a long way toward winning over hiring managers. Learn new ways to enhance your own using our samples for spa & salon industry members. A transportation cover letter should include years of experience, the types of vehicles you’ve operated, and your valid licenses. Drive your way to success by following the sample below. Some things are naturally better when they come as a pair. Cheese and wine. Brownies and ice cream. Your resume and cover letter are no exception. That’s why, in addition to our numerous industry-specific resume samples, we’ve assembled a matching collection of cover letter examples — all available for you to download. There are many cover letter samples available all across the internet, but if you don’t know where to look, you might end up with a dud. All of the resume cover letter examples we provide on Resume Genius are crafted by industry insiders, who have years of experience helping job seekers shine. Plus, they’ve all been personally reviewed by Resume Genius’ own Certified Professional Resume Writer (CPRW), Mark Slack. Our team of industry veterans and resume experts has assembled a vast library of cover letters in eye-catching designs and colors. Our cover letter examples are individually composed to reflect the latest trends in cover letter design, and each is written by a specialist career adviser with the goal of getting it noticed by a hiring manager as quickly as possible. Even though our library of cover letters is impressive, we’re constantly expanding it. If you can’t find a cover letter sample for a particular job, you can look through our collection of free cover letter templates, and download one that you like in Microsoft Word format to create your own. We can say with confidence that our free cover letter examples will give you a fighting chance of landing an interview. Whether you download and tailor them to your exact specifications, or simply use them for inspiration, we hope they’ll help you achieve your career ambitions. That’s our ambition. If you can’t find a cover letter example for a particular role, just leave us a comment below, and we’ll do our best to rustle something up. In the meantime, you can use our free professional cover letter builder to knock out a top-tier cover letter in mere minutes. Best of luck on your job hunt. Our code geeks and HR experts are proud to introduce our new Free Cover Letter Builder software to help you land more interviews in today’s competitive job market. Just answer a few simple questions and you'll have a fully-written professional cover letter!